How well do you know your neighbours? To most of the residents in a quiet cul-de-sac in central Scotland, former middle-distance runner Frank Clement is a friendly face next door, enjoying a happy retirement with his wife Anne Marie and spending plenty of quality family time with his five daughters and fourteen grandchildren, all of whom live nearby. Sixty-four-year-old Clement has turned a communal Sunday brunch, held at his house, into something of a weekly family tradition and, while his distinctive pirate’s beard is no longer jet-black, he looks as sprightly as ever following knee surgery last year. Earlier this year, he was delighted to be honoured by his alma mater, Strathclyde University. Within his adopted home town of Linlithgow, to where he moved from his native Glasgow while continuing to work for Glasgow City Council, Clement is known as a member of the local athletics club and honorary organiser of the children’s races at the town’s annual gala day. His profile, though, is lower than that of other local sportsmen, such as tennis professional and Andy Murray confidant Colin Fleming or former Rangers and Scotland striker Colin Stein. 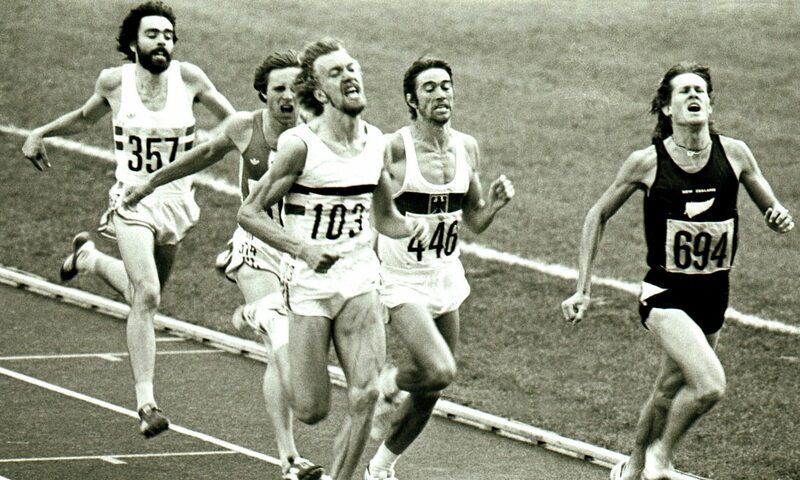 But it is worth reminding his neighbours and Linlithgow residents that 40 years ago, Clement had his own moment in the spotlight, going stride-for-stride with the world’s greatest 800m and 1500m runners at the Montreal Games. Until Edinburgh’s Chris O’Hare finally ended the drought by making Britain’s Rio team, Clement (pictured above, number 357) was the last Scotsman to compete in the Olympic 1500m and his fifth place finish in Canada had not been bettered by any Briton since Peter Elliott’s silver medal in Seoul in 1988. Just like O’Hare, Clement earned his spot with a solid run at the Olympic trials, although he vividly remembers 20-year-old Steve Ovett impudently forcing his way past Dave Moorcroft and himself in the home straight before celebrating victory with a trademark wave. Clement and Ovett were both entered for the 800m first, although they faced no African athletes in Montreal after an 11th-hour boycott due to the New Zealand rugby team’s links with South Africa. “They were all there at the opening ceremony, but two days later they weren’t, and we saw it on the news that they’d boycotted,” said Clement. “Bayi (Filbert Bayi, the 1500m world record-holder) had malaria and wasn’t going to run anyway, but I was a bit worried about Mike Boit, so him not there was a bonus for the rest. Four decades on, courtesy of YouTube, Clement watches transfixed as a grainy French-language video clip of the Montreal 800m heats shows the Scot overtaking John Walker in the last few strides to send the Kiwi legend crashing out of the competition. “I didn’t think I had that kind of kick, but I was always confident at a 1:47 pace,” he explained. “That was the first time I’d ever beaten Walker. “I just hadn’t recovered for the 800m semi-final, but by the time the 1500m came around I was feeling good. Training was going well and my injury had gone away, and because I’d taken Walker in the 800m, I was confident I could do something in the 1500m. “I was still worried about doing three races in three days, but I ran the semi-final quite aggressively because I wanted to stay in touch. I remember thinking it was a bit close at the finish, but I got through automatically in fourth place. “By the time of the final, my nerves had gone. It was a relief to have made it and I thought anything could happen. John Walker wasn’t as much of a standout as before, Van Damme (Ivo van Damme, the 800m silver medallist) hadn’t yet shown himself as a major 1500m player and Rick Wolhlhuter was also an 800m guy. It was pretty open, I thought, but I had to worry about Eamonn Coghlan’s finishing kick. “Dave Moorcroft led from the start, which we hadn’t discussed, but I knew the pace was as slow as anything. I had decided to go with 300m left, but others were planning the same and I went off the track for one or two strides as I went past Graeme Crouch on the inside. “Walker got himself together for that race and Van Damme was a great athlete, but I’d beaten Wellmann (Paul-Heinz Wellmann, bronze medallist) before at the Europa Cup and in the semi, and I was very frustrated that things hadn’t gone right. Had I got a run in at 300m it might have been different, but they all went then. Tags: Frank Clement, Lorin McDougall, Photograph by Mark Shearman, Where are they now?